Although not immediately obvious many floors require thermal insulation. With high density housing developments being common place today many homes have living spaces designed and constructed above unheated garages. Similarly, houses built on piers will have floors exposed to the outside environment. Interior floors are also frequently insulated for privacy within the home or provide sound control between floors of multi-dwelling units. In recent testing at the National Research Council of Canada, floors insulated with 3 ½ inches (90mm)of Thermoshield / ProCell achieved the same acoustical rating (STC) as 6 inch (152mm) glass and 5 ½ inch (140mm) rock wool batts and higher ratings at the same thickness. Thermoshield / ProCell offers a quick, easy and effective way to insulate these structures. 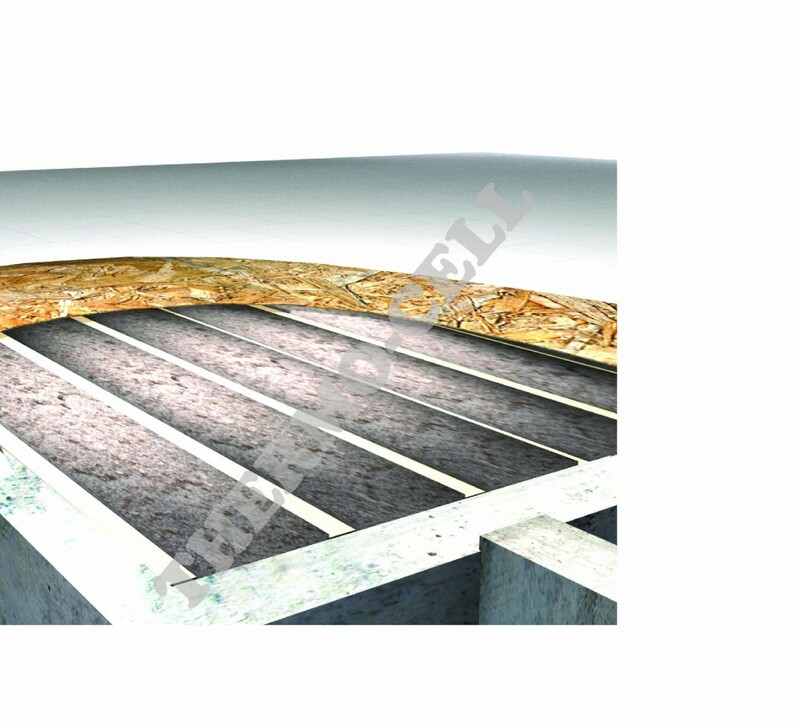 Blown from underneath the floor, insulation is installed on top of mesh or breathable reinforced plastic sheeting. Thermoshield / ProCell is ideally suited to this application since it will not attract nesting insects and rodents. With cellulose insulation, the choice is Natural!